Working on a project and trying to find the name of a special bolt type? 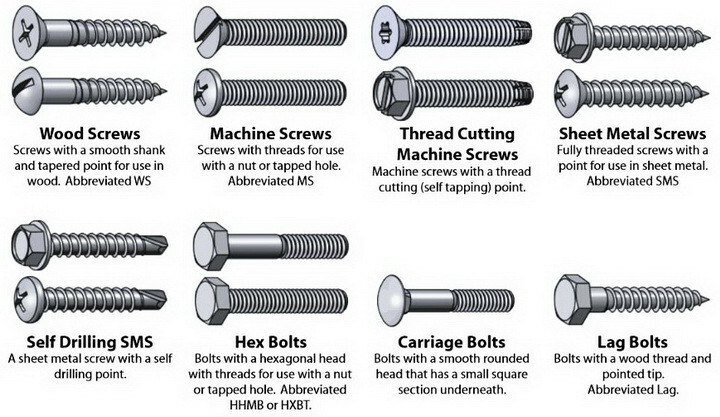 We have the charts to help you identify the many different types of bolts and screws for just about any project. Using the proper specific bolt type is very critical when working on a wood or metal project. 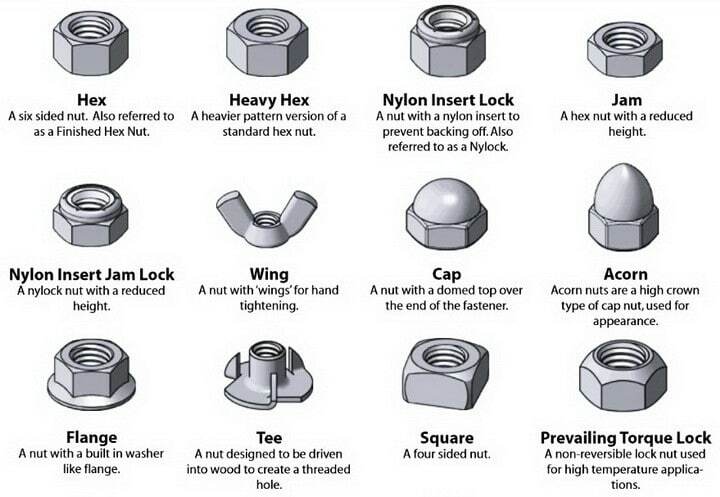 Knowing the names and the specific types of screws, bolts, washers, or nuts you will need for your current or future DIY project is very important. 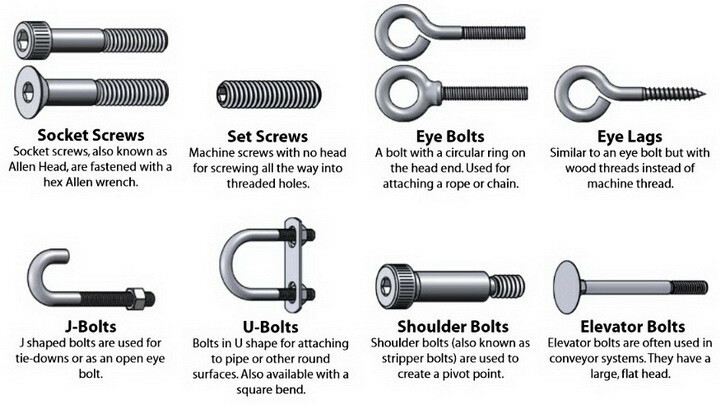 Simply knowing the head type on a screw or bolt can let you know what type of screwdriver or socket type you will need so you do not strip or cross thread your fastener. Using the wrong fastener on a DIY craft project or maintenance job can spell disaster. 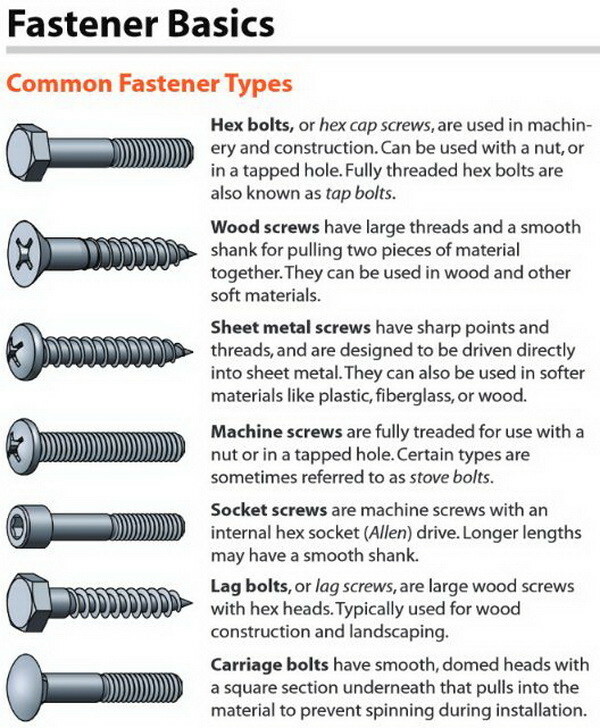 Use the charts below to help you get a better and more informed idea of the fastener type you will need to complete your next project. 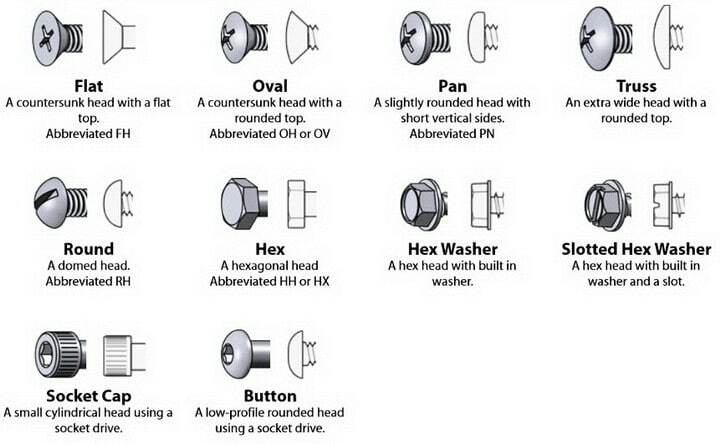 Do you know of a better screw and bolt identification chart? Please comment below with a link to further assist our readers.